How can we complete our Mango Madness Series without making Mango Ice-cream or Mango Kulfi!! 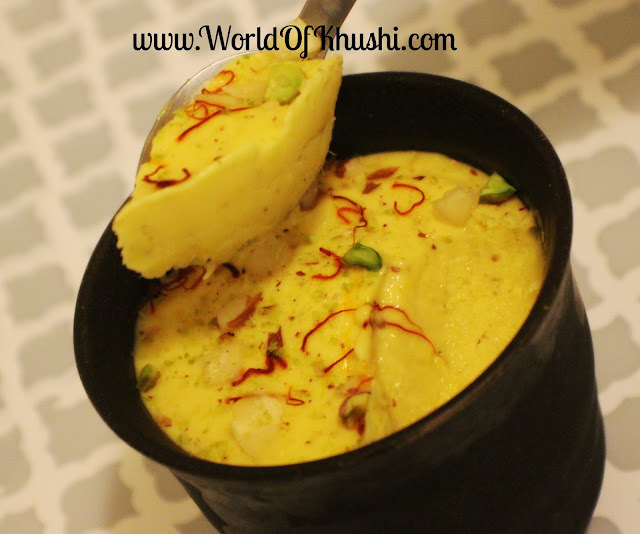 In today's post I am preparing Mango kulfi and the best part is that it doesn't have need any cooking. All you need to do is blending, one of the easiest recipe I have shared till date. Trust me guys it's very delicious, you and your family gonna love this recipe. So without further delay let's see how to make it. Step 1. In a Blender, add all the Ingredients. Step 2. If you feel Mangoes and Milk-Cream are too thick to blend, add little Milk so that it can blend properly. Step 3. Blend it until you get thick puree. Step 4. 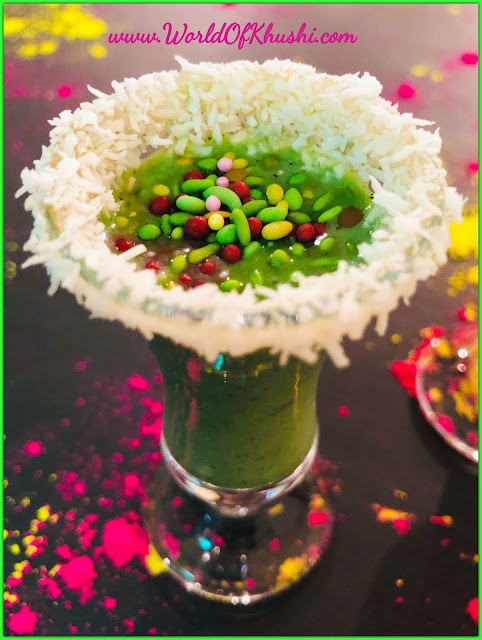 Pour this puree (mixture) in Kulfi moulds or in Glass. Step 5. Refrigerate it for 5-6 hours or overnight. Step 6. Once your Kulfi is ready, served it immediately. 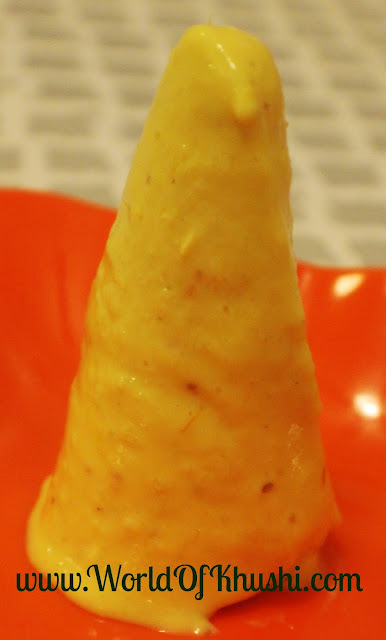 Your delicious Mango Kulfi is ready!! 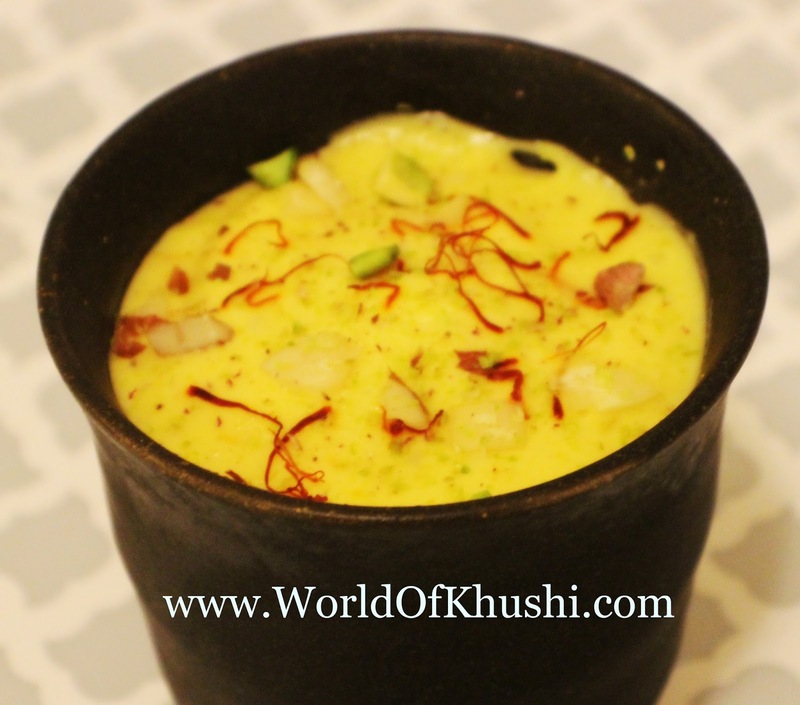 # For removing Kulfi from moulds; place the kulfi mould in water or running water for few seconds, then with the help of knife gently remove Kulfi from Moulds. If you have wooden stick use them to get market style Kulfi. 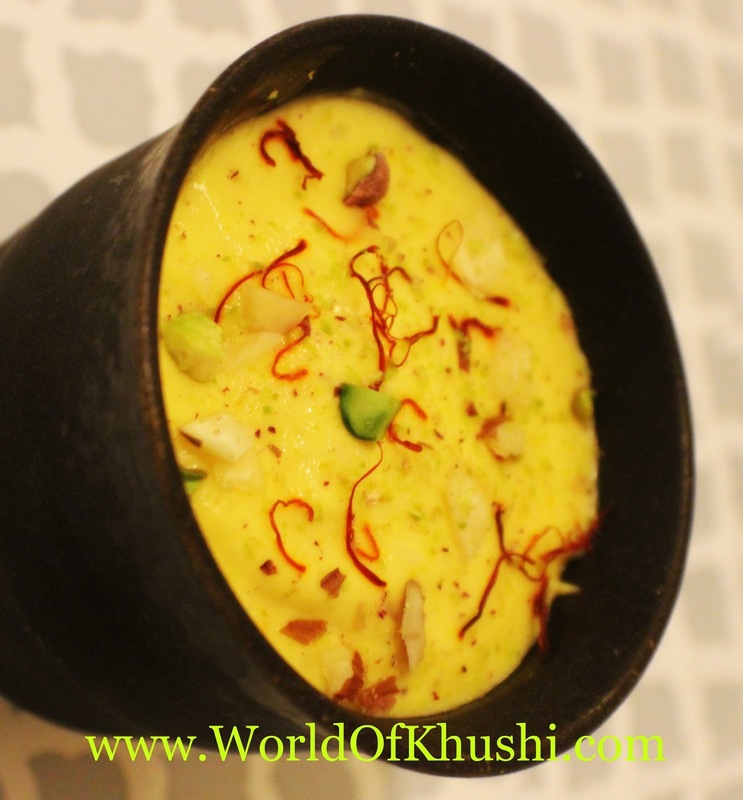 # If you don't have Kulfi Moulds than use regular china bowl or even regular bowl or glass. But yes don't forget to cover it with plastic wrapper. Enjoy this Mango Kulfi in hot sunny days. I hope you and your family love this recipe, do try and let me know your feedback. Also share your recipe pictures with me, will love to see them!! Guys do like the post & share it with everyone you know. Follow me on Khushi's World Facebook Page, Google+ , Instagram and Pinterest for more Posts. I will see you in next post till then take care.